The MOC(Material Of Construction) is of Polypropylene (PP), Standard Colour option which has been provided is white & the process of manufacturing is through Extrusion Blow Molding (EBM)method, Best Suitable for Creams, Gels, Shampoos, Lotion etc. Cap option shaped in Oval Flip Top Cap(FTC)/ (Big, Small), Talc Oval Cap, Decoration option is in Labelling, Sleeving & Printing. Wash bottles are manufacturer of low density polyethylene which gives these bottle transparent and unbreakable and clarity. HDPE is generally used in Detergent bottles and Milk Jugs. We provide Small PP Bottles that are widely appreciated by the clients for boasting excellent strength. 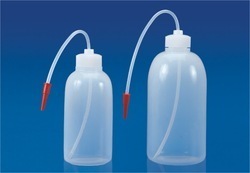 Our range of small PP Bottles can be availed by the clients in Polypropylene as well as Polyethylene. 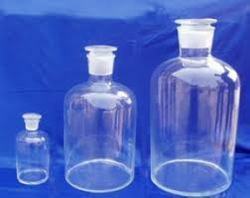 These bottles are available in the options of autoclaved and empty. Known for durability and cost effective, our array of PP Bottles are also offered with customization facility.